We’ve lost a lot of manufactured home builders over the last forty years. In 1977, there were 577 plants building manufactured homes. By 1992, the number had halved to 286 factories. 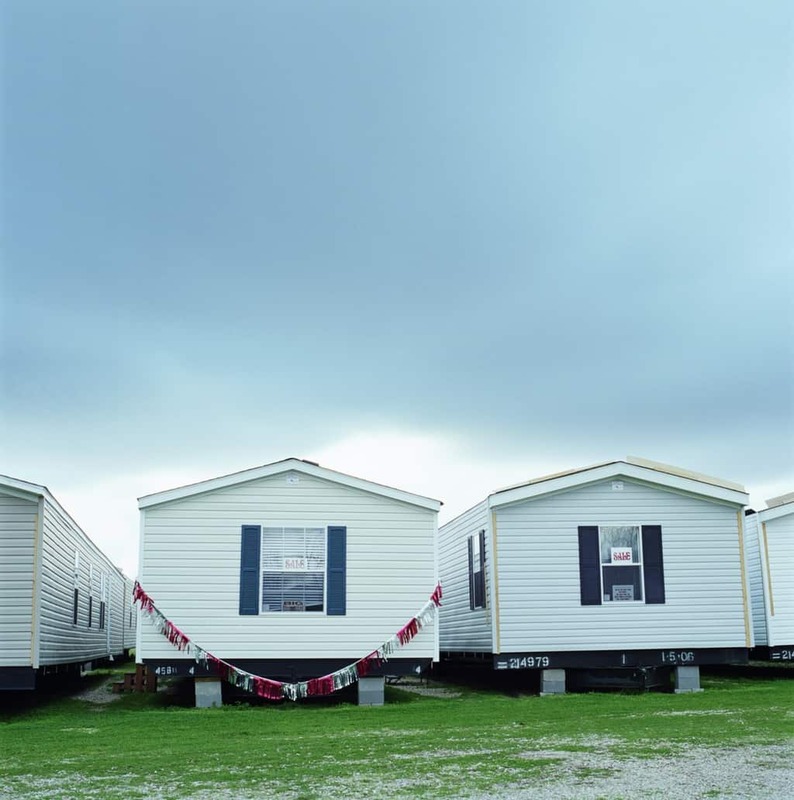 John Grissim, author of the popular Grissim Ratings Guide to Manufactured Homes, states that in 2007 there were only 79 manufactured home builders running 183 production lines. In 2018, that number fell to 61 companies and 130 plants. Only 10 builders, from the 61 left, build 80% of all new manufactured homes in the nation. Three of those 10 are most well-known: Clayton, Cavco, and Champion. 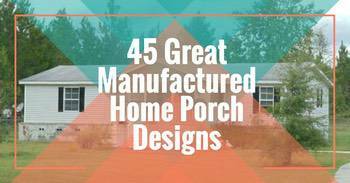 In this article, we’ve gathered a list of 27 of the most popular manufactured home builders. It’s a great place to start searching for your next manufactured home. Just click on the name of the company to visit their site. For each listing, you will find some basic information. We’ve listed how long the company has been in business, what states you can find them in, and their retail price range to help kickstart your manufactured home search. If you are in the market for a new manufactured home you should buy the Grissim books for $30 (affiliate link). It’s invaluable to all house shoppers. 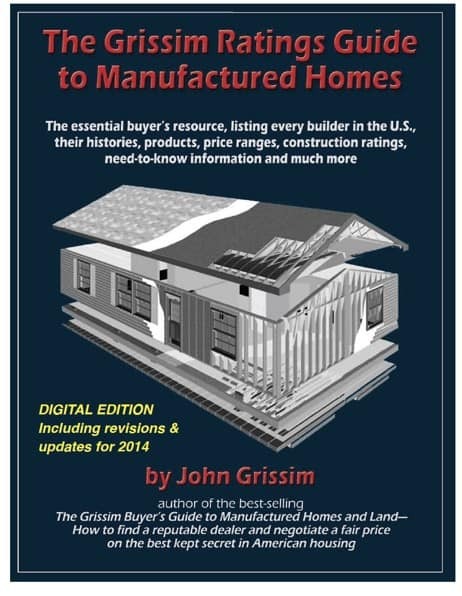 The Grissim Buyer’s Guide to Manufactured Homes and Land, along with The Grissim Ratings Guide to Manufactured Homes has in-depth information on every manufactured home builder in the nation. 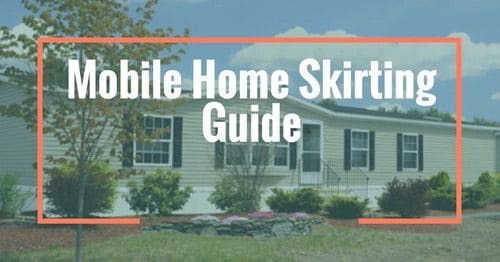 If you want to learn as much as possible about manufactured homes this is your best tool. You can purchase the books here. While Texas leads the way in building the homes, the southeast takes the crown for the number of residents living in manufactured homes. Lawnstarter goes a step further and lists the metropolitan areas and cities with the highest ratio of manufactured homes. Lakeland – Winter, FL wins at 21.5%. The Bureau of Labor Statistics keeps an eye on the manufactured home industry. They summarize that most manufactured home builders are located in smaller rural communities in the south and southwest. Plants are located on major highways and close to suppliers. Learn how to find the best manufactured home floor plan here. As stated above, there are only 61 companies building manufactured homes. But a handful of those own most all the others. The manufactured home industry is fairly cutthroat so mergers and acquisitions are frequent. If the buyers keep the name of their new acquisition, the public would never know since mergers aren’t likely going to make headline news. You’ll want to be sure that the brands you like most are not actually owned by the brands you like least. It’s fairly easy to find out who the stockholder or controlling corporation is for whatever brands you like with a simple Google search. Please note, this is not a complete list by any means. Manufactured Housing.com appears to have the most thorough list of manufactured homes online. Cappaert Homes has been in business since 1987. They operate one factory in Mississippi with around 150-200 workers. Their homes are very affordable but they have models in the mid to high-end tiers. Cavco Industries was established in 1979 and have three manufacturing plants. Homes are sold in AZ, NM, CA, NV, UT, CO. They provide over 30% of the manufactured homes in AZ and are in almost every retirement community in that state. Their retail price, including transportation and set-up, can range from $55,000-$150,000 depending on options. There are over 100 dealers that represent this brand. With so many divisions its hard to have a price range, but their homes do range from low-end starter homes to completely upgraded high-end homes. Commodore has been around since 1952 and are sold by over 400 dealers in 25 states including, NE, KS, IA, MO, WI, IL, MI, IN, OH, KY, TN, GA, SC, NC, VA, WV, MD, DE, NJ, PA, NY,CT, RI, MA, VT, NH, and ME. Their homes are built mainly to appeal to entry-level buyers or mid-level home buyers. They do not build high-end homes. Destiny Industries began in 1978 and at one time was owned by Oakwood Homes and closed. In 2003 they were repurchased from the original owners along with a state of the art manufacturing plant. Their homes are sold in FL, GA, AL, SC, and MS and marketed as affordable mid-level homes. The price range is from $20,000 for an entry-level single wide all the way to large upgraded double wide for $150,000. One of the newest manufactured home builders, Eagle River Homes, was founded in 2006. They build a lot of affordable single wides. They can be found at over 30 dealers throughout NY, NJ, DE, MD, WV, VA, CT, MA, VT, NH, and ME. Prices range from $40,000-$150,000 and many customization options. This manufactured home builder was founded in 1971. Their focus is on upscale homes with tons of options for buyers and a wide range of floor plans. They build their homes from one manufacturing plant (known as the largest of its kind in the industry). Homes are sold by over 200 dealers in IN, KS, NE, SD, ND, MN, WI, MI, IL, IA, KY, WV, OH, PA, and NY. Single wides start at $18,000 and multi-sections may be over $100,000 depending on options. Friendship Homes is a subsidiary and was acquired by Fairmont Homes and produces homes sold in IN, KS, NE, SD, ND, MN, WY, and MT. Fleetwood has been in the manufactured home building business since 1950. They have 21 manufacturing plants in 14 states, and their homes are sold in 46 states by over 1300 dealers. They concentrate on entry to low-level homes that range from $20,000 to $60,000 but have homes that price upward of $120,000. Franklin Homes started out in 1968. They are all manufactured from one plant and sold by over 75 dealers in states that include: AL, AR, FL, GA, IL, IN, KS, KY, LA, MO, NC, OH, OK, SC, TN, and TX. Prices range from $42,000 for single wides to $179,000 for upgraded multi-section homes. The Hallmark Southwest Corporation began in 1977. Their primary buyers are potential homeowners that are looking for high-end options. They have done very little advertising and rely mainly on word of mouth referrals to grow their business. They have around 20 dealers who sell their homes and are sold in CA, AZ, and NV mainly to parks which are rotating out older homes and adding newer models. Retail ranges from $82,000-$98,000 and up before tax. This company got its start in 1991. The company is completely employee-owned, and they work to build homes that are more heavy duty for extreme winters. Over 25 dealers are representing the company in MN, ND, SD, IA, WI, and MI. The price range for their homes range from $50,000 for a single wide to $95,000 for multi-section homes. Jacobsen Homes was founded in 1951 and is the oldest manufactured home builder in Florida. Their homes are sold exclusively in that state and they work to build homes for Seniors and Retirees with upscale options. 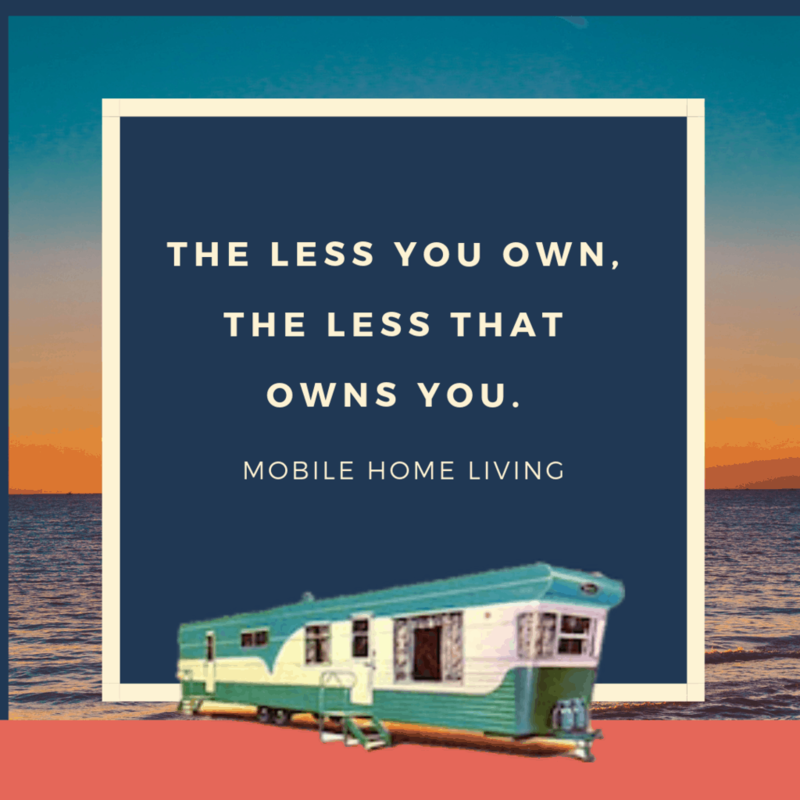 Homes range from $75,000 for homes on private property to $70-$180,000 for turnkey packages that are placed in Manufactured Home Communities. Fairly young, Kabco Homes was established in 2003. They have grown substantially over the past few years, from only building double wide homes to now offering singles as well. They have over 45 dealers in AL, MS, LA, TN, AR, GA, and KY and cater to low-end to a medium price range of $54,000-$80,000 including transportation and set-up. 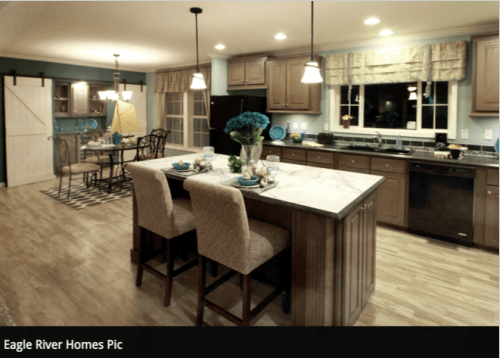 Kit Homebuilders was established in 1945 and build mid-range homes that are priced between $44,000 for a bare-bones home to $140,000 for one with all the upgrade options. Their homes are sold by 39 dealers in ID, OR, CA CO, MT, NV, UT, and WA. 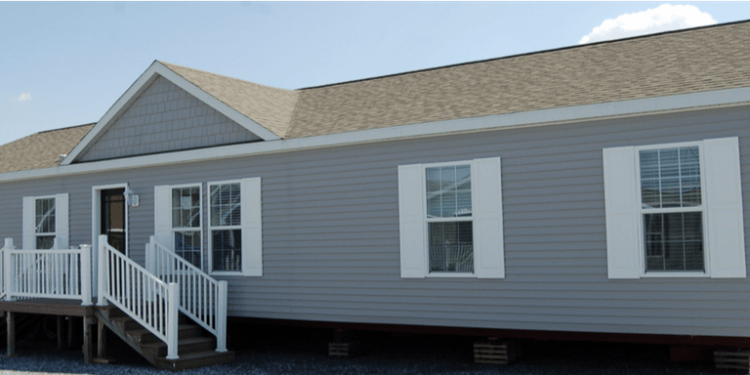 One of the newest manufactured home builders around they are a popular choice with a variety of homes styles available including tiny homes, single wides, and multi-section. Their homes are available in TX, CO, FL, GA, MI, LA, AK, NM, OK, NC, SC, TN, and they offer over 150 retail locations. Their price range is from very economical to mid-level depending on options. Liberty Homes was founded all the way back in 1941 and started out by producing housing for defense plant workers. Their market niche is mid to high-end home buyers in all states except HI, AK, NV, AZ, and Southern CA. They have over 450 dealers and even offer one in-house mortgage finance option. Prices range from $40,000 for singles and $135,000 for a triple wide with many upgrade options. 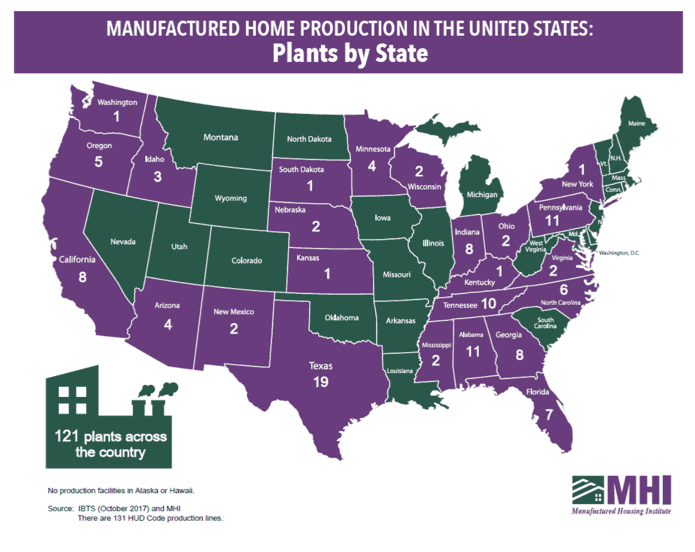 Founded in 1965, Manufactured Housing Enterprises has 2 plants that employ over 200 people that manufacture single wides, and multi-section homes. Their goal is to provide affordable housing that ranges from $20,000 to $140,000 with all available options. There are over 150 dealers that represent the homes in ME, NH, VT, NY, MA, CT, RI, NJ, PA, MD, DE, OH, WV, VA, KY, NC, SC, MO, MN, MO, KS, NB, IA, WI, IL, MI, and IN. One of the most well known manufactured home builders, Palm Harbor Homes, was founded in 1977 and operates over 135 exclusive retail centers in 32 states and also has over 375 retailers that sell their homes. With over 18 plants their price range starts at $50,000 and go to upwards of $135,000. They offer in-house financing options and can be found in the following states: FL, NC, SC, AL, GA, MS, TN, VA, WV, MD, CT, DL, TX, OK, AR, LA, NM, AZ, CA, CO, OR, WA, MT, NV,ID,OH,MI,IN, KY, IL, PA, and MO. 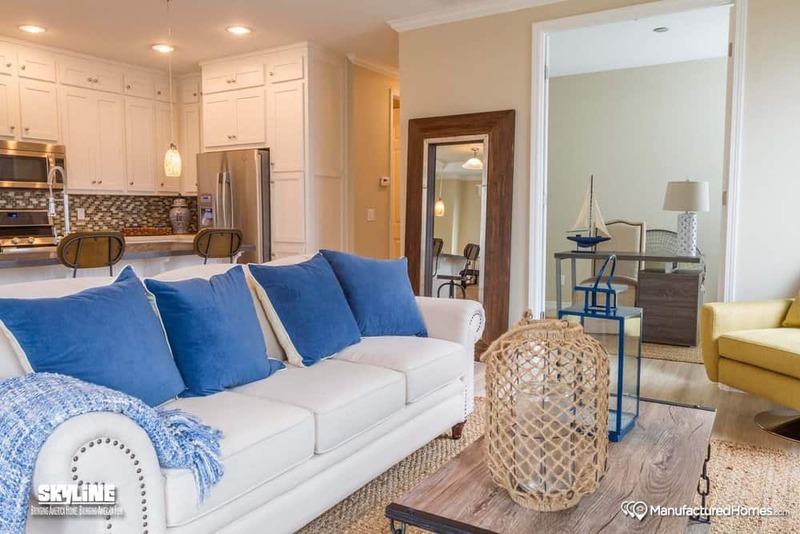 Founded in 1981 Pine Grove Homes began manufacturing homes for two markets that included communities that are turning over older mobile homes and high-end manufactured homes that resemble site-built homes. Prices start at $45,000 and can be upwards of $140,000. They can be found in PA, eastern OH, northern VA, WV, DE, MD, NY, NJ, CT, RI, MA, VT, NH, and ME by over 175 dealers who represent Pine Grove Homes. Platinum homes launched in 2006 and sell homes in AL, MS, LA, FL, TN, AR, GA, KY, MO, TX, and OK from over 50 dealers. Single wides range from $30,00-$45,000 and double wides from $55,000-$140,000. Their primary niche is medium to high-end homes. ScotBilt Homes began in 2006 and mainly work to manufacture homes from low-end to mid-range in GA, FL, SC, NC, AL, MS, and LA. Prices range from $35,000-$65,000 and are offered by over 90 dealers. Skyline began in 1951, and their manufactured homes are sold in all states except Hawaii and Alaska. They work to build mid to high-end homes, but they offer models from a wide price range. There are over 440 dealers that represent Skyline with costs starting at $20,000 and heading upwards to $110,000. This 2017 Skyline Manufactured Home is a Stunner. Started in 1965, Skyline Homes are offered in NM, OK, and TX. Prices range from $35,000-$110,000. Their primary market is low to mid-range homes with a focus on baby boomers and second-time homebuyers. Sunshine Homes began in 1971 as an owner of a well-known pet food company who decided to branch out. Their homes are in the mid-range price and sold by over 100 dealers and offered in AL, MS, GA, FL, IA, KS, OK, TX, MO, KY, AR, LA, NC, SC, and IL. Home prices range from $30,000-$100,000+. ID, northwestern MT). They concentrate on mid to high-end homes that resemble site built with a price range of $48,000-$125,000. 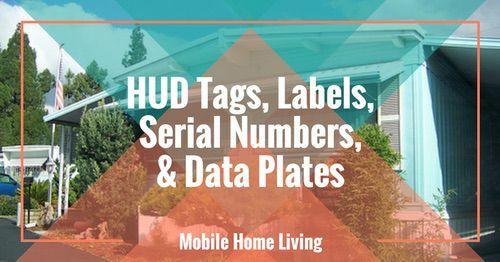 This list of 27 manufactured home builders should get you started on your new manufactured home hunt. Remember to take notes as there will be a lot of information you’ll need to sort through to find the best builder for your needs. In 99% of cases, a manufactured home buyer does now need the most expensive home offered by a builder, nor will they want the cheapest. It’s a smart mix of standards and upgrades that make the best home for most families. Roof pitch, studs, better doors and windows, and higher grade insulation are all smart upgrades for any home. 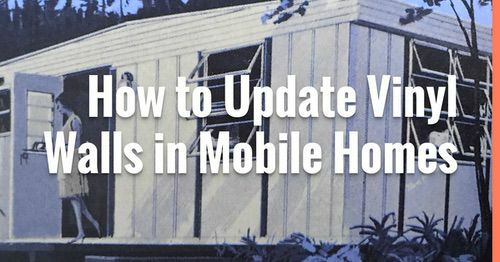 You can read about our picks for 10 Smart Upgrades to Make When Buying a New Manufactured Home here. Regardless of which manufactured home builder you choose, you will always get a minimum of 1-year warranty. Some builders, like Skyline, offer longer terms. Let us know if you have any questions. 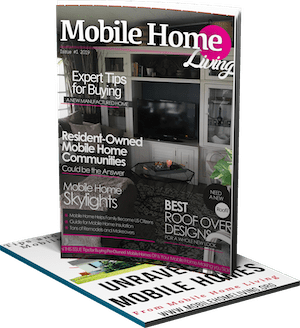 As always, thanks for reading Mobile Home Living®! TruMH which is a subsidary of Clayton, makes entry level homes that start around 20 K for a singlewide and 40K for a double. These are basic homes, but I like that they keep it simple, no fancy vaulted ceilings or tape and texture. Some of us like basic, and as site shows you can always spruce it up later. BTW Clayton is owned by Warren Buffet, the investor. He knows people need homes, and building or buying a stick built home is getting out of reach of many ‘mericans. Hi Crystal. I have already bought my mobile home. I just need major repairs. I’m on SSDI and I’m totally disabled. 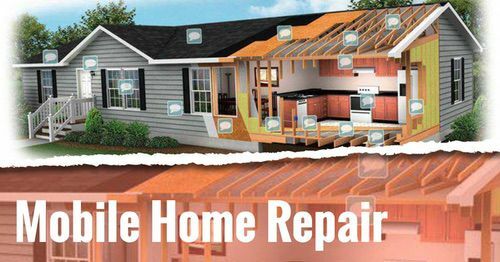 The biggest repair is the roof. I cannot afford to hire anyone to do the labor. I have tried to apply for grants, but they say I get paid too much. The one side of my trailer needs replacing of the metal siding. It’s all a mess, I’m a mess. Advice please??? In southern WV, we have church groups that come in and help people with their homes all summer. They come in groups of around 20 and stay for a week or two at a time. They will reroof homes, fix porches and foundations, replace windows etc. I’m sure they’d be happy to help you. Call a couple of your local churches and see what it takes to get on one of those volunteer lists. You could also offer to trade a service you can do (mending, sewing, computer work, typing, organizing) for some help with your roof from the congregation? Also, my daughter’s high school has a requirement where every student has to do so many hours of volunteer work. Freshmen do 5, Sophomores need 10, and so on. Maybe you could contact your local trade school (construction class) or high school and see if they would be willing to help. I know it’s hard to get a home worked on when you just don’t have the money. I’ve been there myself but the world is a good place and there’s help out there, you just need to find it.